Light commercial vehicles appear the path of choice as Volkswagen and Ford commit to a "broad alliance" to boost their competitiveness. The vehicle-makers insist a merger is beyond their present scope as they confirmed that the companies intend to develop "commercial vans and medium-sized pickups for global markets beginning as early as 2022". They have signed a memorandum of understanding to investigate collaboration on autonomous vehicles, mobility services and electric vehicles and have "started to explore opportunities". 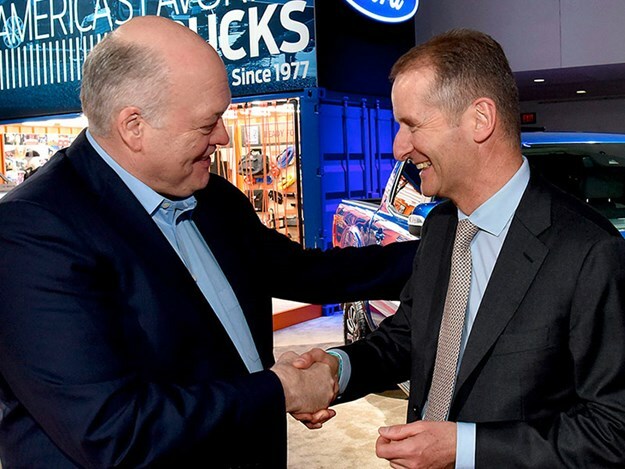 "Over time, this alliance will help both companies create value and meet the needs of our customers and society," Ford CEO Jim Hackett says. "It will not only drive significant efficiencies and help both companies improve their fitness, but also gives us the opportunity to collaborate on shaping the next era of mobility." 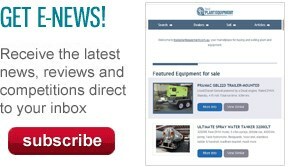 They are open to considering additional vehicle programs in the future. The teams will continue working through details in the coming months. "Volkswagen and Ford will harness our collective resources, innovation capabilities and complementary market positions to even better serve millions of customers around the world," VW CEO Herbert Diess says. The alliance, which does not entail cross-ownership between the two companies, will be governed by a joint committee led by Hackett and Diess that will include senior executives from both companies. In the next three years, the alliance will see Ford engineer and build medium-sized pickups for both companies. The focus, initially at least, will be Europe and the US, with the pick-up reportedly also slated for South America and Africa. "For both parties, Ford intends to engineer and build larger commercial vans for European customers, and Volkswagen intends to develop and build a city van," the pair states. They add that van and pickup agreements aim to deliver scale and efficiencies for each company starting in 2023.